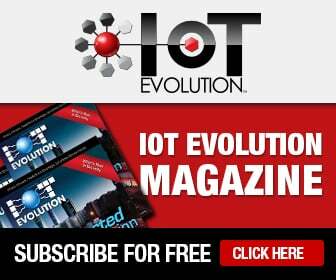 Paul Hanson, CEO and co-Founder, bbotx inc.
At bbotx we have worked with a couple of large multinational industrial firms that are very interested in how the IoT will influence their business. Early projections about the growth and economic impact of the IoT are giddy. While the IoT is undeniably a hot story, much of what is getting the attention isn’t what will be important. Let’s first consider what is really going on. What does the Internet of Things really mean? The cheap part of microprocessors and radios doesn’t require explanation. What is most important is low power; this means that a small battery can power the radio and microprocessor for years, not weeks. Battery costs are not falling as quickly, and replacing hundreds or thousands of batteries frequently would kill the IoT in no time. Networks and access points are everywhere. We all carry a network terminal with a low-power radio transceiver in our pockets. It is also a powerful computer. IoT devices can assume access to a free network connection, screen, and keyboard by borrowing them from your smartphone. We refer to this as found technology. We also can’t ignore the importance of media attention. You can’t have a bubble without breathless reports about the latest blockbuster trend. Who remembers the B2B bubble? We’ll come back to this. Individuals and startups can take advantage of cheap components, found technology, and low-cost rapid prototyping to take a product concept to market very quickly. Services like Kickstarter make it easy to pitch an idea to early adopters. With online media hungry for stories that provide click candy, getting exposure is relatively easy. Most of these product ideas will die along with the companies that create them. Here are a couple of my favorites: Pantelligent – the smart frying pan, and Quirky’s smart Egg Minder. Both of these ideas are plain silly. If you need a device to tell you how old your eggs are or how many you have, you don’t use enough eggs to care. This is a common problem with IoT “innovations”. The second problem is the there-is-an-app-for-that conundrum. How many apps are we going to have, and what are they all going to do to compete for our attention? How do we avoid loading up our landfills with bad technology? What analogues can help us understand the IoT? This is an appropriate point at which to revisit the B2B bubble discussion. The media and investment community were excited about it. It seemed that anything with B2B in it got media attention, and a lot attracted funding. A good example was Covisint, a joint venture between GM, Ford, and Daimler Chrysler. The news coverage in 2000 rhapsodized about the incredible potential value of business to be done over the platform, using it as an example of the B2B revolution unfolding before our eyes. While the platform (now owned by Compuware) may have lowered some procurement costs, the fact is all that business was already going on. No extra parts were bought or sold because of the platform. If you go to the Covisint site today, the company touts itself as an IoT/cloud play, elegantly making my point. B2B faded to the background, as the IoT will, but the underlying activities of conducting more business electronically has continued to grow. With the IoT we will see more and more microprocessors and radios added to commercial products. In ways similar to the B2B bubble, IoT will fade to business as usual. What does this mean for the future of the IoT? There will be some players in the IoT that can achieve the kind of scale to dominate the landscape. It won’t come from a single product idea, and certainly not from a frying pan that sends the temperature to an app on your phone. Recent experience with the internet shows that there will be some early companies that show promise and look like the winners, but the ones that wind up dominating won’t be the early ones. More significantly, the actual transformative value of the IoT will occur when we don’t notice it anymore, when it is in the background in many things we do. For this to be our reality, all kinds of products we currently assume to be inanimate will become state aware, state reporting, and interoperable devices. The IoT will enter our lives when adding these capabilities to the things we use adds value to us. It will mostly occur when the large companies that make most of the things we use, many of them decidedly not electronic products today, incorporate these capabilities and offer them to the market. This does not mean it becomes unimportant. On the contrary, it will mean it has taken root. Paul Hanson is CEO and co-Founder of IoT startup bbotx inc. (www.bbotx.com).